Instrumental. © 2009. Reason with Love! High energy CD of all originals with Afro-Peruvian grooves. Recorded with trio ensemble and a new version of "El Condor Pasa." Highly recommended! Instrumental. © 2009. 75 minutes of relaxing music with the haunting sound of the panpipes to pacify your mind and soothe your senses. Takes away stress! Instrumental. © 2005. 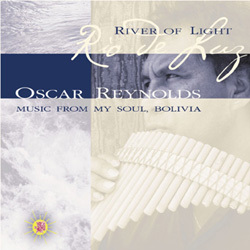 A brand new all-original album composed by Oscar Reynolds with the soothing sounds of the panpipes, emotion-driven guitar, and a blend of Bolivian, Afro-Peruvian, and Flamenco. Over an hour long, perfect for relaxing and massage. Greensleeves/ What Child is This? Instrumental. © 2004. 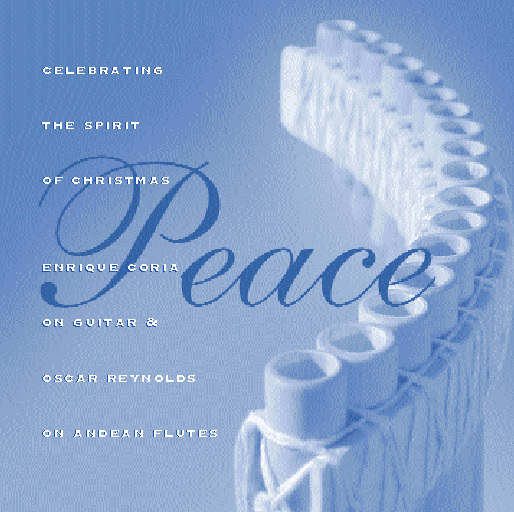 The Christmas Album with Enrique Coria on guitar and Oscar Reynolds on Andean flutes. Instrumental. © 1999. "Sembrando Trigo" means "sowing wheat." Rhythmic album with smooth and romantic melodies. 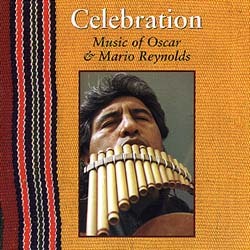 Mario Y Oscar Reynolds S.
Instrumental. © 1999. "Sembrando Maiz" means "sowing corn." Melodic music has a variety of rhythms. The album has 4 faster tracks and the rest are easy listening tunes. 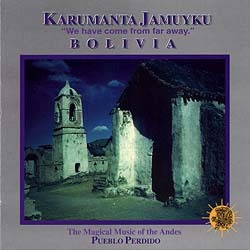 Andean Music from Bolivia. © 1997. This album is mellow and peaceful. It is called Celebration because since ancient times, people throughout the world have celebrated the gifts of love, birth, harvest, and change. Traditional, rhythmic music from Bolivia. © 1995. 3 instrumental songs. Other tracks with vocals. 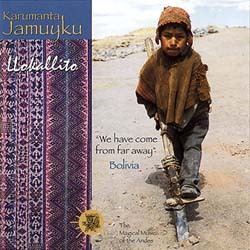 "Llokallito" is Quechua for "little boy." Children and adults alike love the upbeat rhythm. Great music for dancing. Andean Music from Bolivia. © 1996. Album is named El Santuario because the songs represent the solemn and peaceful atmosphere that describes this place located in Chimayó, New Mexico. 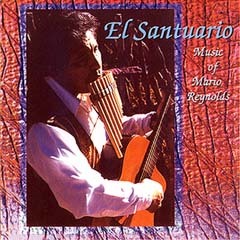 Songs are soothing and peaceful, just as El Santuario is a peaceful refuge for the soul. 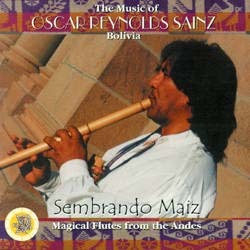 Traditional folk music from Bolivia. ©1992. Four instrumental songs. Other songs with some vocals. "Pueblo Perdido" is Spanish for "ghost town." 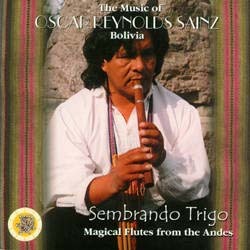 Includes Mr. Reynolds' traditional rendition of "El Condor Pasa" (Flight of the Condor).